ORLANDO – At the HIMSS Blockchain Forum on Wednesday, Jim Tate, founder of EMR Advocate and, more recently, Elysian Blockchain, used a couple of rock lyrics to describe distributed ledger technology. First were the words of David Bowie: "Tomorrow belongs to those who can hear it coming." Or perhaps more appropriate, as many try to make sense of what blockchain is and what it can do for healthcare, were the timeless lyrics of Bob Dylan: "Something is happening here and you don't know what it is." Some think it's the silver bullet to solve all of healthcare's most vexing problems. Others still think it's an overhyped fad. But Tate is convinced that blockchain is here to stay in healthcare and says the future is unwritten when it comes to what it can help accomplish. While many are focused on the potential use cases where DLT can fix data exchange and security challenges – and there are plenty of those – Tate said the most exciting possibilities are as yet undreamed of places where blockchain can "create new opportunities, rather than solving existing problems." But there's no shortage of existing challenges that DLT might be well-suited to help fix, said Tate. The fact that "trust is encoded in the software," he said, makes it a "revolutionary" approach to any number of them. "When trust is codified in software, there is no need to rely on third parties." For everything that blockchain isn't – "It's not a database. It's a terrible database. Very inefficient at storing data." – its permanent and unchangeable ledger can enable security improvements and efficiencies in the pharmaceutical supply chain (a "perfect application" of DLT, said Tate) and physician credentialing ("like supply chain, this to me is a slam dunk"). There have been plenty of pilot projects around these from various vendors and major health systems in recent years, of course. But Tate thinks we're getting close to a moment where some of these initiatives will really mature and proliferate. "To me, 2019 is the "slope of enlightenment," said Tate, referencing the famous Gartner Hype Cycle. "The real work being done is a good sign. I think it will probably be this year – not just test cases but real-world cases coming to bear." Chrissa McFarlane, founder and CEO of Patientory, agrees there's big potential as DLT finds its way into healthcare practice and connects with more established data exchange standards. 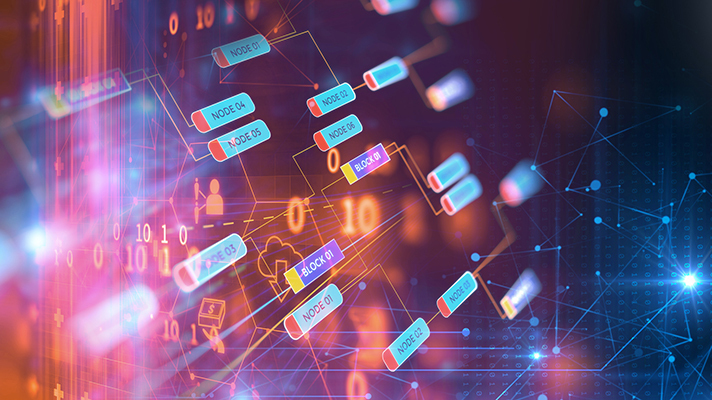 "With blockchain, here comes a technology where we can actually integrate a lot of the HIE technology we've been using such as HL7," she said. "Vanderbilt and Mayo Clinic have released white papers showing how they are integrating HL7 and FHIR standards with blockchain for better, more secure data management." But for those providers looking to make use of blockchain, it's important that they do so with clear vision and purpose, said Wayne Singer, vice president of Darena Solutions. "Is it right for you? It's good to see that some people have put it in place,” Singer said. “But is it a perfect fit for your organization? Here's where you identify what's working for you. What problem do I have? How will it solve that problem? How can I put it into place? "It's just a tool," he said. "It's not, 'Hey, we have now put in blockchain. We're done.' It's just one of many tools you have to work with. For use cases, again, start small. Don't get too far-reaching. Keep it controlled."